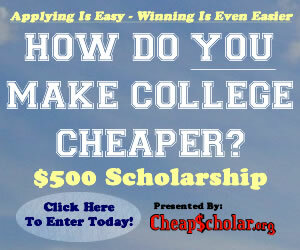 Tag Archive | "Credit Cards"
Helping Your College Bound Student Choose A Credit Card? Check Out These Tips! Getting a credit card is a right of passage for college students. It’s a symbol of newfound freedom and responsibility. In order to prevent your child from racking up a high bill that he cannot afford, have a candid discussion about all of the ins and outs of that little piece of plastic. Over 84 percent of college undergrads have at least one credit card, according to a study by student loan giant Sallie Mae. The average balance on those cards was a whopping $3,173. Review the following credit essentials with your college kid before signing up for a credit card. The annual percentage rate (APR) is the interest rate you pay when you borrow money through the credit card. The higher the APR, the more money it will cost if your kid doesn’t pay the entire balance every month. 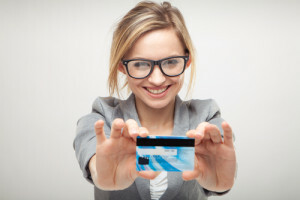 At the same time, make sure you pay attention to credit cards with too-good-to-be-true introductory offers because as those offers expire, the APR may skyrocket. In any case, an unexpected interest rate hike can instantly make using credit cards significantly more expensive than either of your expected, so be prepared and always strive to pay off the balance each month. Some credit cards charge an annual fee, which is a fee you are charged on a yearly basis for simply having the card. This fee must be paid even if the card is never used. Aim to find a card that doesn’t have an annual fee. Simply put, the terms and conditions of some credit cards are much worse than others. In particular, some cards are specifically designed for college students. If your college kid is just getting started with managing their finances, it may behoove you to have a prepaid credit card or a secured credit card at least until your child proves he can handle more responsibility. This will help him get in a good habit of paying off the balance on time and keep spending within his means. Before your child signs up for his first credit card, be sure he understands how it may increase his risk of identity theft. As the fastest growing crime in the nation, there are over 9.9 million incidents of identity theft every year, according to the FTC. Protect your college student from becoming a part of that statistic by investing in identity theft protection services. These services provide 24/7 monitoring so that suspicious activity can be remedied quickly before major damage is done. Missing a payment can be extremely detrimental to your college student’s credit since he likely has a limited credit file. Discuss with your child the importance of paying off balances in a timely manner. One missed payment can result in a staggering 70 to 90 point credit score decrease. While the best practice is to pay the balance off each month, at the very least make sure your child always makes the minimum payment. Part of going off to college is learning to be a productive member of society. Being financially responsible is a big part of that role. Unfortunately, it can be difficult for students to learn the basics of controlling their own finances, including credit. Building a good credit rating while in college can go a long way toward helping graduates later in life. Having a good credit score is important because it will make it easier in the future to qualify for home and auto loans, as well as possibly getting better rates on them. *Get help from parents – One of the easiest ways to build a good credit history quickly is to be added to a credit account owned by a parent. The student should be made an authorized user and provided a card associated with the account. Not only will this allow the student build credit fast, but the parent will be able to monitor their child’s usage. *Obtain your own card – Those who feel they are ready to take on the challenges of owning a credit card may want to apply for their own account. Use it sparingly and be sure to pay off the monthly bill in full in order to avoid paying late charges or interest. *Research – If the decision has been made to get a separate card, be sure to find the right one. Lots of companies will offer students incentives that can seem like a good idea but will actually result in higher interest rates. Find one with a relatively low limit initially so as to avoid the temptation to charge too much. Look for the lowest interest rate available. 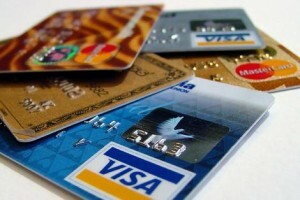 Some experts suggest a first card should be a retail card associated with a particular store. They usually do not offer many benefits, yet making regular payments on them will build good credit. One note of caution, however, is that they often will have relatively high interest rates. *Pay all bills on time – While it’s important to pay the credit card bill on time each month, paying any other bills that are in your name is equally as important. The agencies responsible for setting credit scores take into consideration whether those bills are being paid as well. *Check the reports – Consumers are allowed one free credit report a year, so be sure to take advantage of it. Even if the credit card is not used often, it is a good habit to get into for later in life. When reviewing the report, check for any errors. If one is found, get it corrected as quickly as possible in order to positively impact your score. Building good credit can be difficult for college students, but it is worth it later in life. Starting out adult life with a bad credit score will make it more difficult to get ahead after graduation. Today’s guest article comes from Claire Atkinson. She enjoys writing about financial topics and suggests the following site as a great resource to learn more about credit cards: Kanetix.ca. According to the Nellie Mae Education Foundation, 81% of college freshman have at least one credit card. Credit cards facilitate purchases from textbooks to clothes to medical emergencies. Used responsibly, credit cards build financial management skills; however, used irresponsibly, they do more harm than good. While the law stipulates that anyone under age 21 must have a co-signer on a credit card application, students and their parents need to be attentive when choosing a credit card. Students should set limits, understand good credit, and, most importantly, avoiding debt. The first thing to understand is that credit cards are not debit cards. When using a debit card, the money you are spending is pulled immediately from your checking account. However, with a credit card, the bank is lending you the money, which means you have an outstanding loan. The amount of interest or the sum of money charged for using the loan varies among credit card companies. Federal law mandates that all credit card companies offer at least a 21-day interest-free grace period. Paying off your credit card statement within the grace period prevents you from incurring interest. If you only make a partial payment, interest will be added to the remaining balance, and you will pay more than the original price tag. When selecting a card, you’ll see the card’s annual percent rate of interest (APR) that you will be charged on your credit card balance if the full amount isn’t paid by the due date. You want to find the lowest interest rate possible, just in case. The average interest rate is just under 15%, but interest rates on student cards can vary widely. The Sovereign Bank Student MasterCard has a 10% interest rate, while the Chase Student Flexible Rewards Card has an 18% interest rate. If you use websites like BankRate.com, you’ll find that spending $1,000, and only making your minimum monthly payments (instead of paying your balance in full), you’ll pay an additional $87.92 or $91.68, respectively, each month. Finding the right card for you, again, requires research. Websites such as Credit.com, BankRate.com, and CardRatings.com, compile reviews of cards posted from other student users who already have the card you may be considering. Reward cards offering airline miles or cash back may be useful in making your money work for you; however, these cards usually come with expensive yearly fees and high interest rates. Another option for students is joining a credit union. While credit unions have specific membership terms, the requirements have loosened significantly. Credit unions have low interest rates and are much easier to deal with if problems arise. 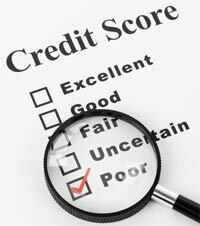 Credit scoring is a system that lenders use to determine your credit worthiness. Credit scores are based on your bill-paying history, the number of accounts you hold, late payments, outstanding debt, any actions taken to collect that debt, and the age of your accounts. Your ability to get personal loans, home mortgages, or future employment can be directly affected by your credit score. Paying your bills in full and on time will help you establish a good credit score, while paying your bills late or not at all will result in a bad credit score. The National Foundation for Credit Counseling reports that nearly one-half of college students saddle themselves with more than $3,000 of debt by the time they graduate. While the amount of debt may be insignificant, the damage done to your credit score may take years to fix. Today’s guest article is provided by Rebecca Lindegren. Rebecca is the Community Relations Manager for American University’s international relations degree online, a full graduate program offered entirely on the web. She is also the Editor-in-Chief for the news category at The Word Is Bond. Outside work, Rebecca spends her time skiing, cycling and cooking. Follow her on twitter. “Credit Card Debt” & “College Students” – It seems as though these two phrases are synonymous with each other. Over 80% of students on campus these days have at least one credit card to help cover miscellaneous expenses they encounter during their college years. Unfortunately, only 17% of those students have the ability to pay those credit cards off each month. The following infographic (created by Green Dot) provides a deep dive into how college students are using credit cards, what their typical spend rate is and what the average amount of debt each one is maintaining on their credit card. Take a look at the information and see what you think. I think that every college student should have one credit card available that they can use in the event of an emergency. I also don’t think it is a bad idea to utilize a credit card for online purchases, while traveling, or any instance in which you would not want to utilize a debit card and potentially provide scammers with direct access to your checking account funds… That being said, it is imperative that you are able to pay your credit card off each month to avoid fees and interest charges. If you are a person that doesn’t have self-control when it comes to spending and following a budget, you can still get a credit card for emergency purposes but I recommend freezing it in a block of ice. Hopefully the effort you have to put into retrieving it (and the time involved) will make you really think about whether the intended purchase is really necessary… Here is an article that provides some good advice on utilizing a credit card during your college years. We all know that college students are a strategic target for credit card companies. More than 70% of undergraduate students carry a credit card (some have two) and 90% of those with cards are carrying a balance from one month to the next. So, as a successful business model, I can see why they are sought out on campuses nationwide. 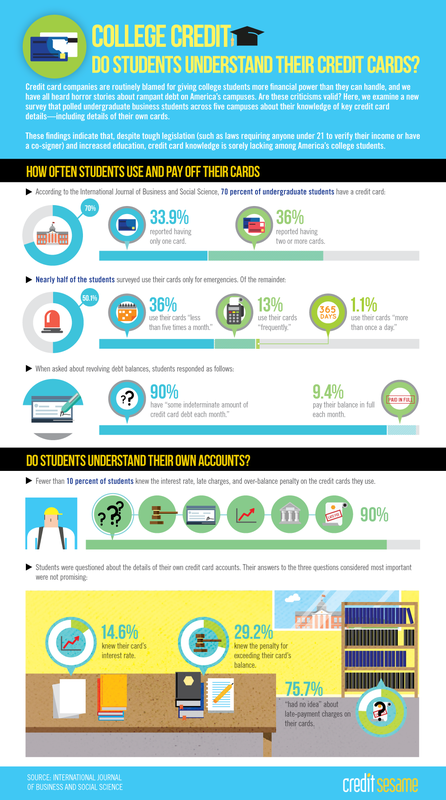 I have written a number of articles related to credit cards and the college experience but I think the following infographic is very revealing about how college students use their credit cards. Enjoy! The following is guest article provided by Tisha Tolar. After the recent changes to the debit card swipe fees banks are allowed to charge retailers, there is an up and coming agenda concerning the cost of credit card swipe fees. The Durbin Amendment has limited what banks are allowed to charge retailers in interchange rates. For each transactions consumers make in-store with a debit card, the retailer must pay a fee to the banks for the activity. In years past, the interchange rate was 44 cents per customer transaction. With the Durbin Amendment now in place, those fees are being cut in half and as a result the banks are making less of a profit. Because the banks are collecting less from the retailers on debit card fees, they need to now make up for those lost profits. This has resulted in the increased bank fees students may be encountering. From higher ATM withdrawal fees to maintenance fees on checking accounts, students will have to pay more just for dealing with a bank. In many cases the bigger fees are being incurred by customers of the larger banks but soon enough many financial institutions will likely have to pass on costs to customers. Since the successful passing of the regulations concerning debit cards, lobbyists are now pushing for the same changes for credit card transactions. This means banks will now need to make up even more lost profits via their customers. For college students that maintain bank accounts for check cashing purchases or for the convenience of having a bank card, it will start to get even more expensive in light of the proposed changes. For college students that maintain their own bank accounts, it would make a lot of sense for you to meet with a bank manager and clarify what changes are being made, especially if you don’t feel you can afford the new charges being incurred. It may also be the right time to consider looking elsewhere. Smaller banks and community credit unions are still offering various incentives to customers whereas the big banks have already begun passing on the increased fees. Shopping around for a better deal before credit card swipe fee changes go into affect may be the best first step. College life is certainly a learning experience and it is the right time to learn about budgeting. A budget simple requires data concerning your income and expenses over the course of a month. Once you have identified how much money you receive in a month’s time, you need to subtract the expenses you have including cost of living expenses, entertainment, financial obligations (ie: bills), and all of your other expenses. If you subtract expenses from income and get a negative number, it is time to make some budgetary cuts. Once your budget has been established, make a commitment to living within its boundaries. It can be very tempting to sidestep those boundaries but living by a budget is the only way to assure financial stability. It will also be a useful tool for the rest of your life. While one of the supposed benefits of lower swipe fees on debit cards was that retailers would save money and pass along the benefits to the consumer, it does not seem that retailers are willing to part with their savings. In order to stick to a budget, you need to start getting consumer-savvy by comparison shopping for school necessities and personal items. Don’t shop at the convenience stores because it is convenient. You should work on pre-planning skills so you can be wise about your spending habits. You may have qualified for a credit card but that doesn’t mean you know how to use it responsibly. The CARD Act has changed the age limits of a person eligible to receive a credit card to age 21 there are still situations that allow younger students to have access to a credit card, such as being on a parents account or proving income stability to the credit card provider. For this reason as well as your future financial life, it is imperative you understand how credit works. You may need to consult with your parents, a trusted professor, or a relative to find out exactly what responsibilities come with having a credit card. A large majority of college students graduate in deep depth thanks to their misunderstanding of credit. Living a frugal life while still in school will help prevent debt loads that cause a lot of struggle after graduation. On top of student loan debts, running up credit card bills and other creditor accounts will make it more difficult to get financially ahead as school becomes a distant memory. With jobs already scarce, it is important students take the opportunity to learn as much as they can about their financial status so they can plan now for both the short and long-term. Tisha Tolar is a financial writer for MyBankTracker.com, a site that helps consumers compare savings accounts, CD rates, and home equity loans to make informed banking decisions and save money.